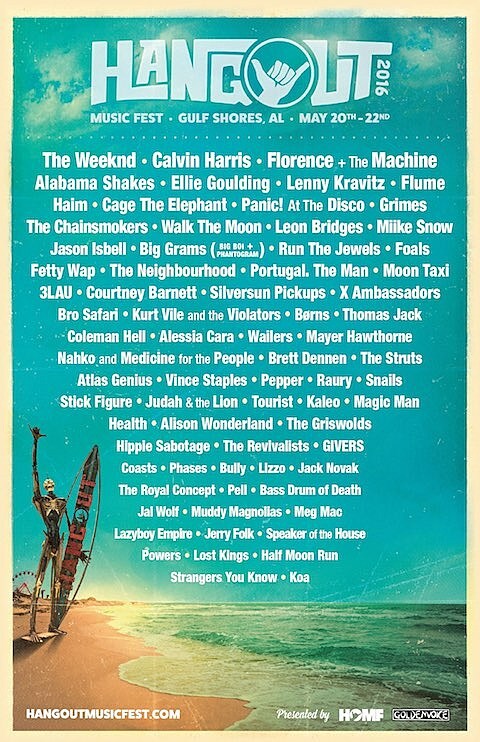 The 2016 lineup for the Alabama’s Hangout Music Festival has been released. It features The Weeknd, Florence + The Machine, Alabama Shakes, Haim, Grimes, Jason Isbell, Leon Bridges, Run the Jewels, Kurt Vile, Courtney Barnett, Bully and of course many others. The festival takes place in Gulf Shores from May 20-22, and tickets go on sale Thursday (11/19) at 10 AM CST.